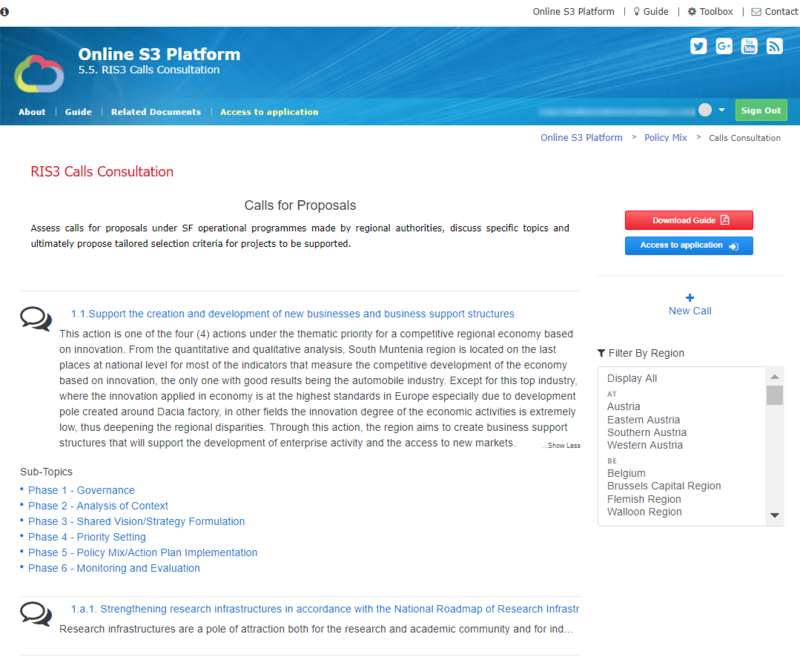 This guide describes how to use the Calls Consultation app for two groups of users: organisers and participants in the calls consultation processes. Participants in the process can skip the steps marked as "for the organiser". 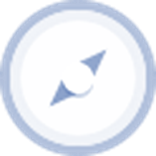 Navigate the apps' index page displaying funding programmes in order to ultimately locate a call of interest. Click on a chosen programmes' panel highlighted in grey to find out more and click: "" to naviagate to the programme specific area. Each programme has topics listed below, expand these Topics by clicking the "" icon; each leads to a specific discussion board to exchange ideas and opinions concerning the chosen topic. Starting from the stakeholders' mapping, this stage aims to identify the basic categories of stakeholders, based on their level of interest and influence on the specific call. A choice should be made as to whether the consultation method is going to be open to the public or targeted. Points to Note: Although open public consultations can foster transparency and accountability, and ensure the broadest public validation and support for an initiative, targeted consultation might better fit the concept of calls for projects, as it allows more focused interactions or dialogue and may tap expertise more efficiently, in particular when dealing with a very specific or technical subject. 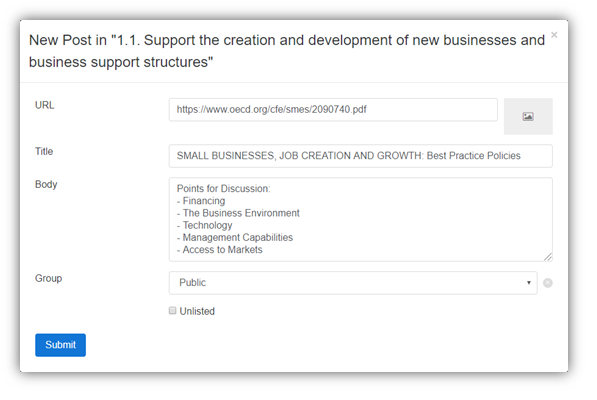 Create a new post to act as a collaboration board and invite users or the public through the Groups drop-down. Figure 1a: Creating a new post to host a discussion concerning an aspect of the chosen call. Invite people to contribute to the discussion and vote on raised items. Explanation: Public boards are full accessible however posts can be "unlisted". An unlisted post is only visible to the creator and subsequently those who receive a link to the post via a sharing option such as an email invitation, linkedin article, or social media post/message. Posts may also be excluded for public listings by selecting "members" from the group dropdown. Raise a item within the discussion and express your opinion concerning this topic. Figure 1c: Creating a new comment and voting. Considering factors highlighted by the follow assessment grid communicate and collaborate in the definition of call assessment criteria. -Has the action been designed in collaboration with stakeholders or with other forms of broad participation? -Are the outcomes of the action to be disseminated to a larger audience? -Do the public outcomes of the action follow an open science/innovation approach? -Does the action consider the results of RIS3 SWOT analysis and the innovation potential of the region? -Does the action contribute to extroversion of productive activities or their positioning in trans-regional and international value chains? -Does the action contribute to research and innovation activities? -Are social, organisational, service and market innovation considered beside technological and science-based innovation? 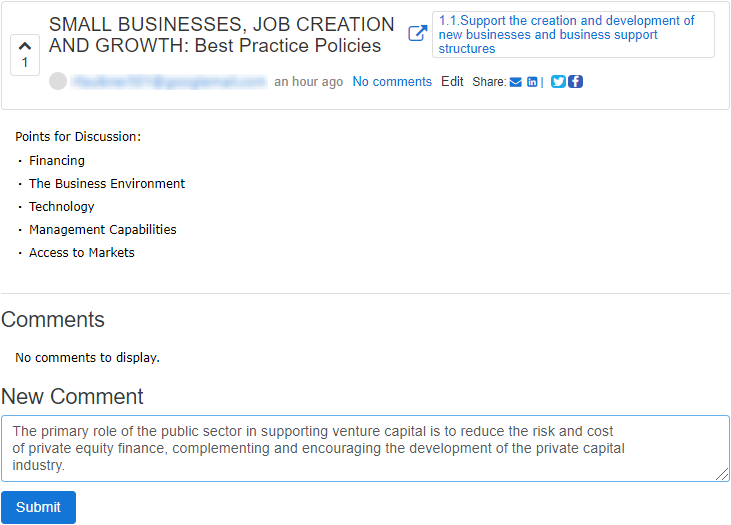 -Does the action contribute to private sector research and innovation? -Are the societal inclusive, environmental and sustainable economic development challenges addressed? -Are challenges of modernisation/diversification of productive activities addressed by the action? -Is the action in alignment with context analysis and harvesting of entrepreneurial discoveries and DAE? -Is the concentration of resources sufficient to achieve the objective of the action? -Do eligible activities fall within the priority sectors and activities of RIS3? -Are there private organisations or a mix of public and private organisations supported by the action? -Is the action a follow-up of pilot projects or a small-scale implementation? -Does the action define output and result indicators? 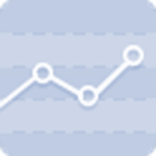 -Are indicators linked to priorities with clearly identified baselines and targets? -Are the outcomes of the action sustainable in the long run? Subscribe to newsletters to retrieve periodic reports concerning users' opinions and priorities on calls. Figure 2a: Subscribe to newsletters via My profile or the Newsletter banner. Rational: Stakeholders’ views can be summarised as a newsletter which can then be reported to the Call authority for analysis and deliberation. Sign-up for the newsletter by going to "Edit Account" and selecting ‘Subscribe’. Optionally you can preview a scheduled newsletter by going to the following path: "/email/newsletter" or view a daily breakdown of activity by selecting "Daily" from the ‘View’ dropdown.